Did you know it's Sci-Fi Month? This is my third year joining in this fun event! Looking for cool bookmarks (despite my rather slim reading in the sci-fi genre) is always a little education for me. 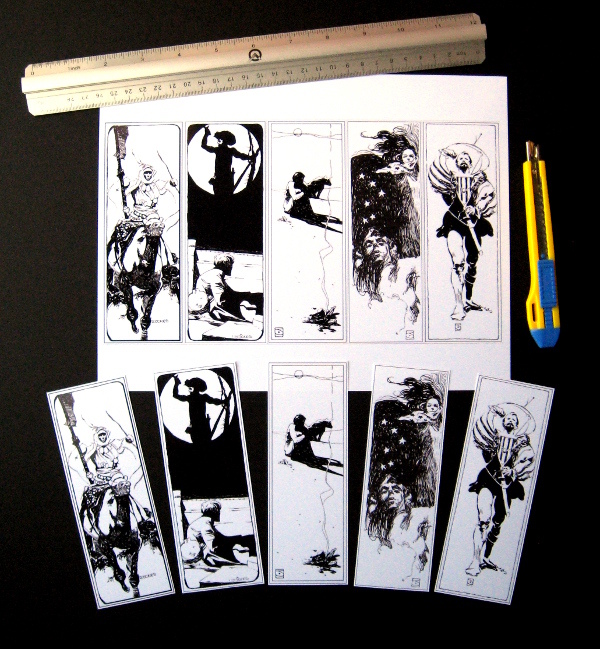 This week's edition of #BookmarkMonday, I found these bookmarks on Ragged Claws Network (click to get to the link for the free downloadable) featuring Sci-Fi Digest illustrations by Jeffrey Jones. Jones is an American artist whose best known work is from the late 1960s through 2000s. Jones illustrated 150 covers for many different types of books through 1976 and later went into fine art. 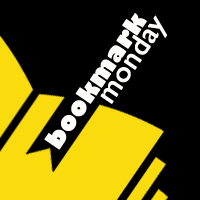 #BookmarkMonday is a weekly meme that started in 2009. If you've got a bookmark to share, post about it on your blog and leave a message below. It's so much fun discovering new bookmarks! If you'd like to post on the #BookmarkMonday Pinterest Board, shoot me an email at readerrabbit22 at gmail.com and I'll add you as a contributor.